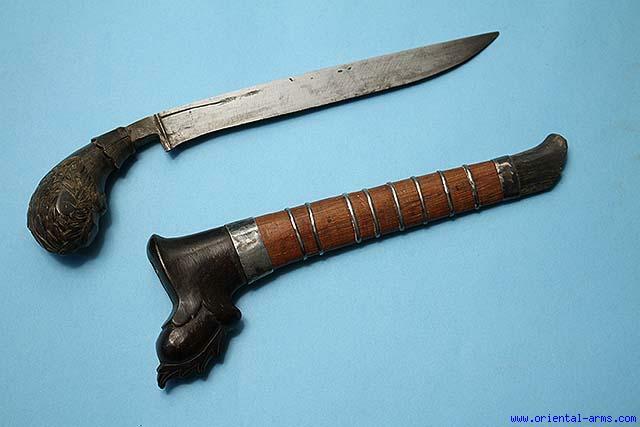 This Sewar knife is from Sumatra late 19C. The blade is 7 inches, slightly down curving, single edged. Finely carved horn handle with a mother of pearl "eye". Wood scabbard with silver bands and horn mounts. Total length 10 inches. Very good condition.